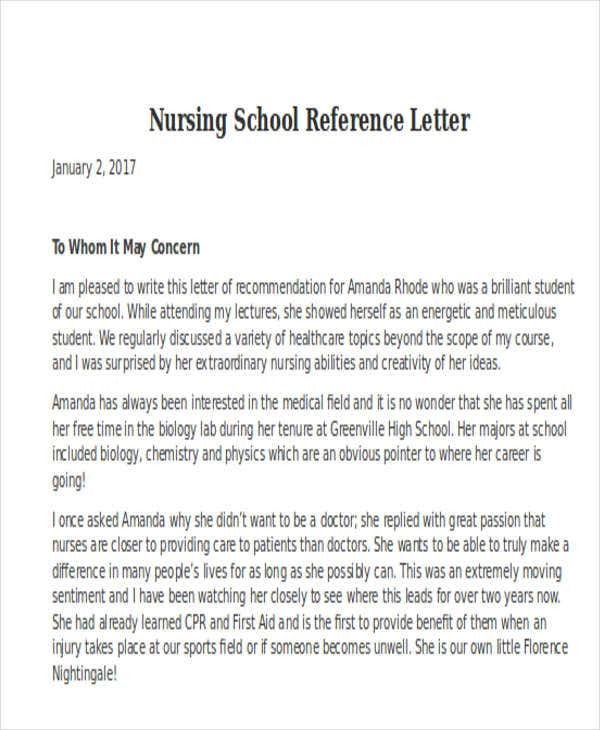 A nursing reference letter is used to provide recommendation to a nursing graduate who would like to enter the professional field of nursing. 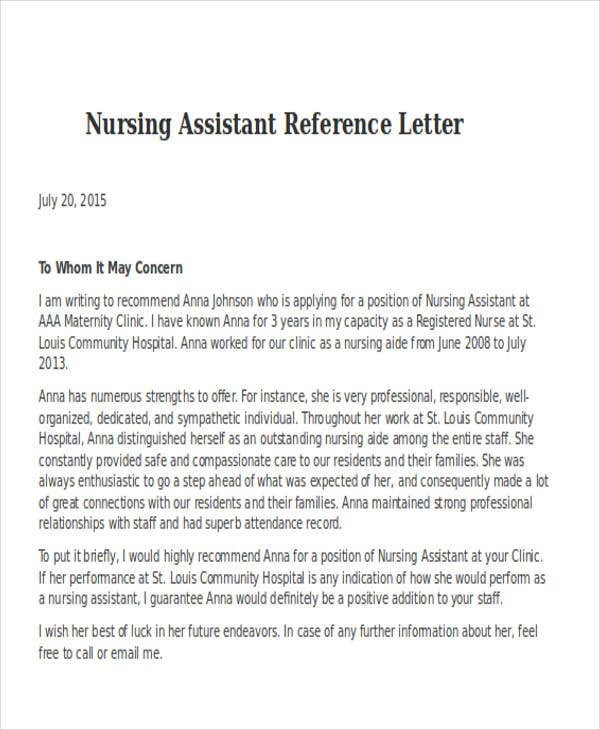 Moreover, it can also be used by licensed nurses for shifting from one hospital to another. 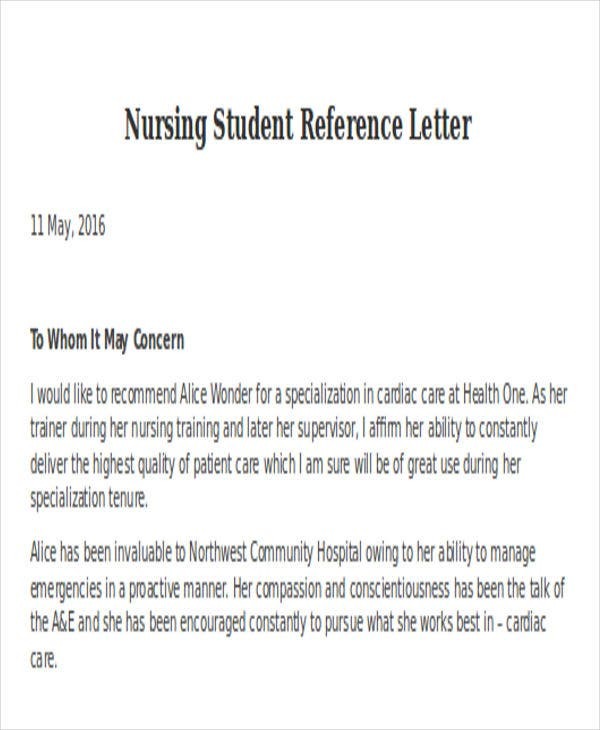 A nursing reference letter may be written by people who have known and seen the work ethics and professional undertakings of the individual who will use the reference letter for job applications and other personal purposes. 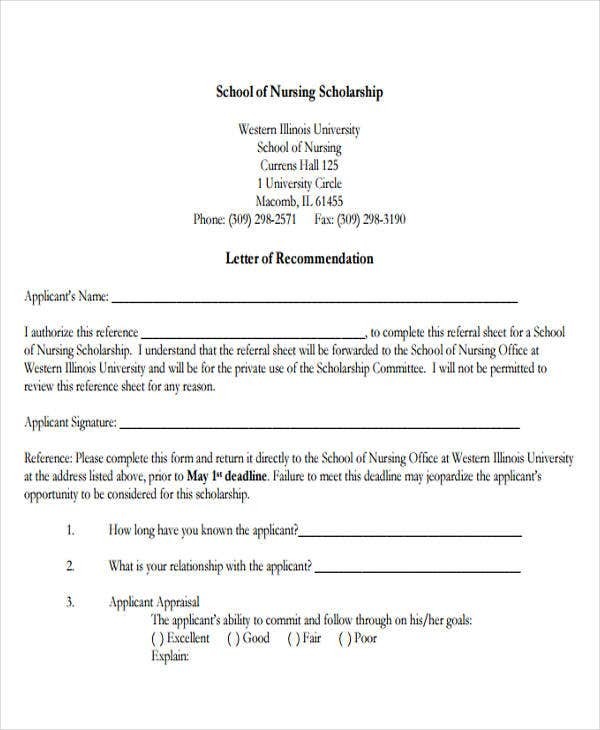 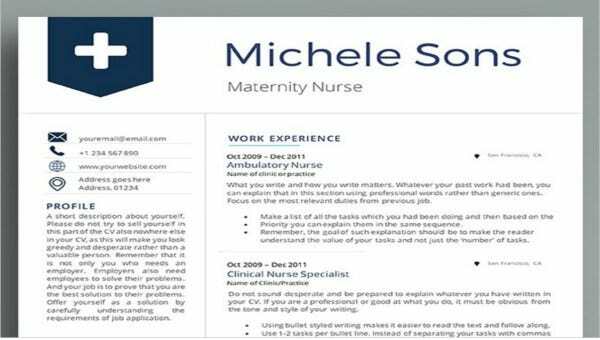 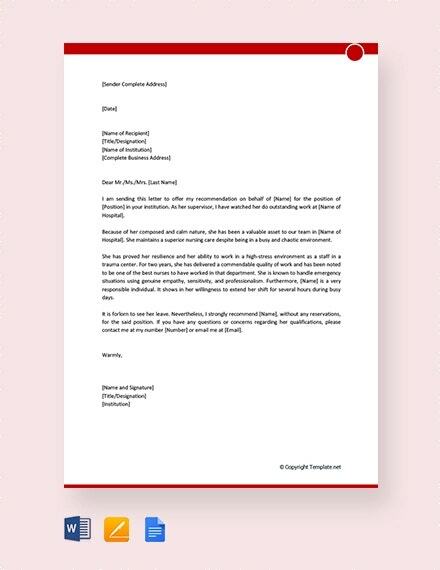 We can provide you with samples of nursing reference letter templates so you can be guided accordingly in creating the specific kind of reference letter to be discussed in this article. 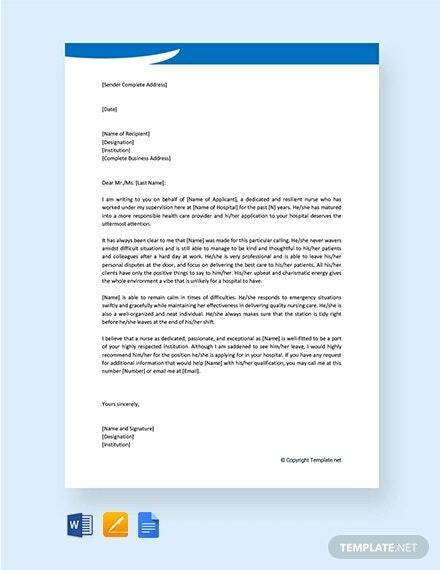 Moreover, we also have downloadable Letter Template samples usable as references in creating various kinds of letters used in different transactions and processes. 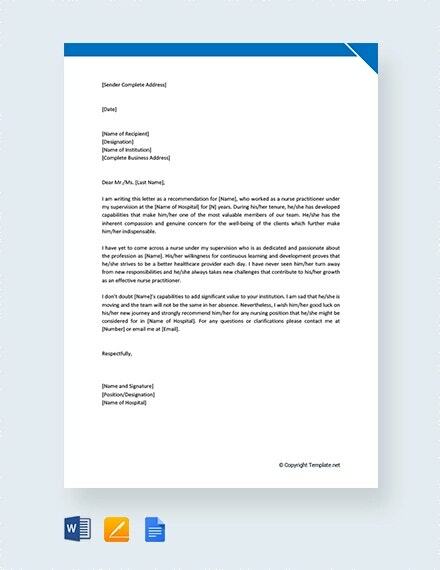 Aside from our nursing reference letter samples, we have other samples and templates of Free Reference Letters, which you may also be interested to browse through and download. 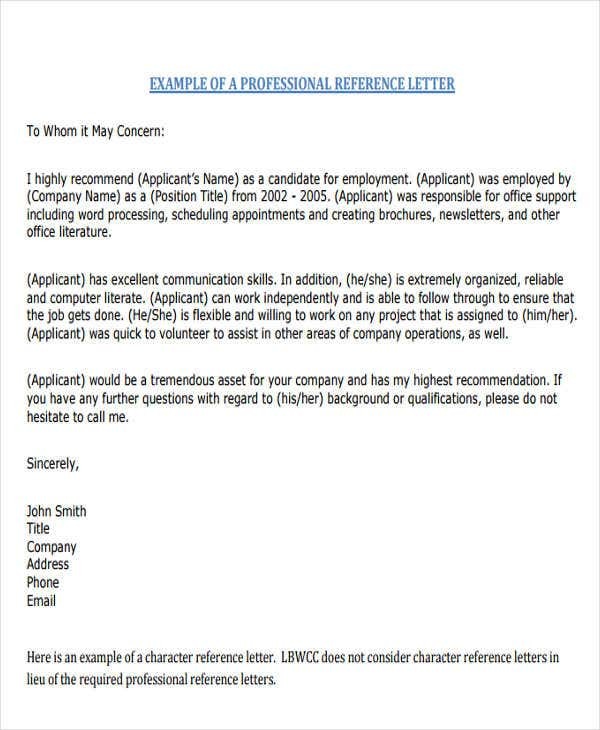 It allows your prospective employer to validate that all the information that you have stated are accurate. 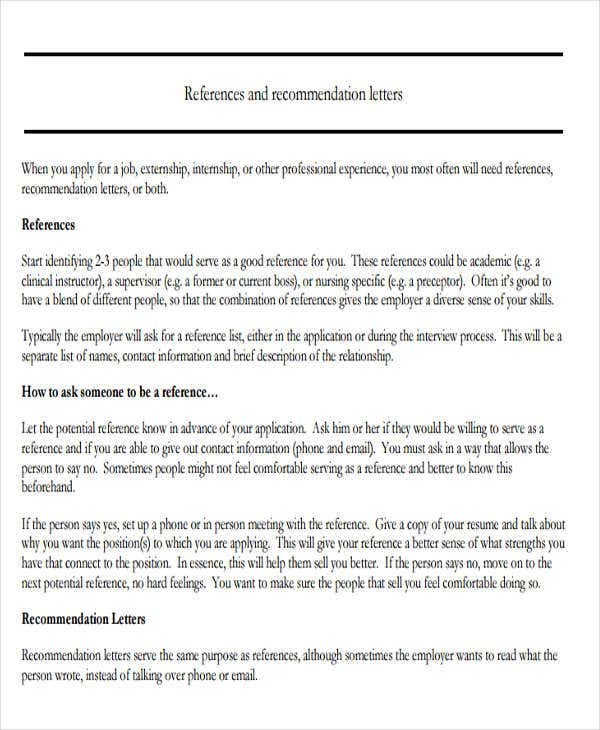 It helps your application to be more credible. 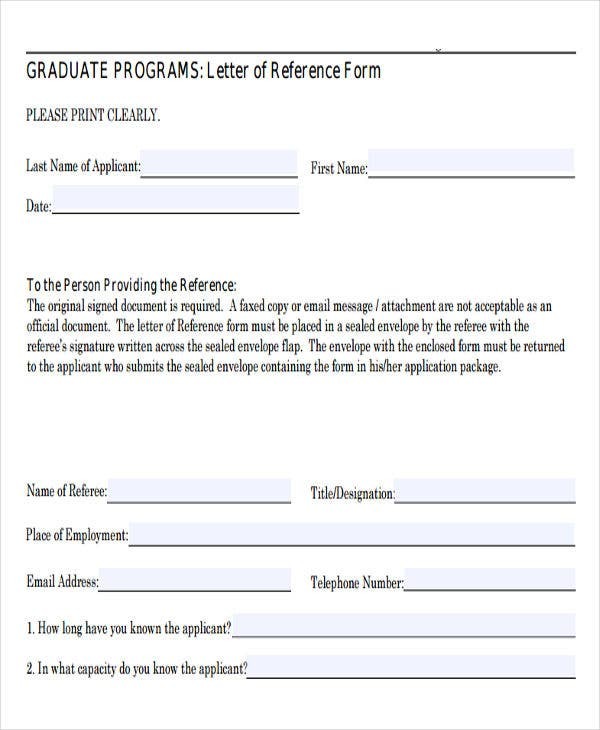 The references that you have selected can state facts and information that you are not able to discuss during any of the application processes. 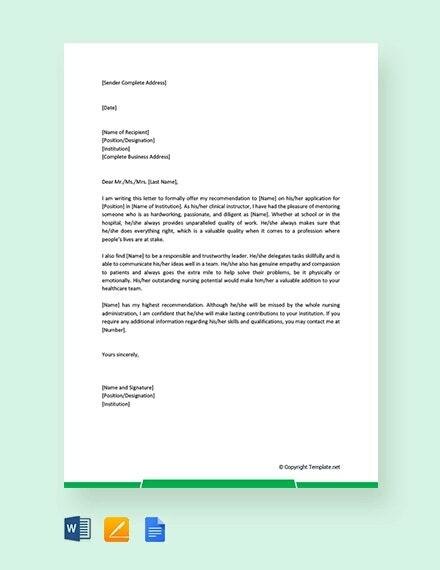 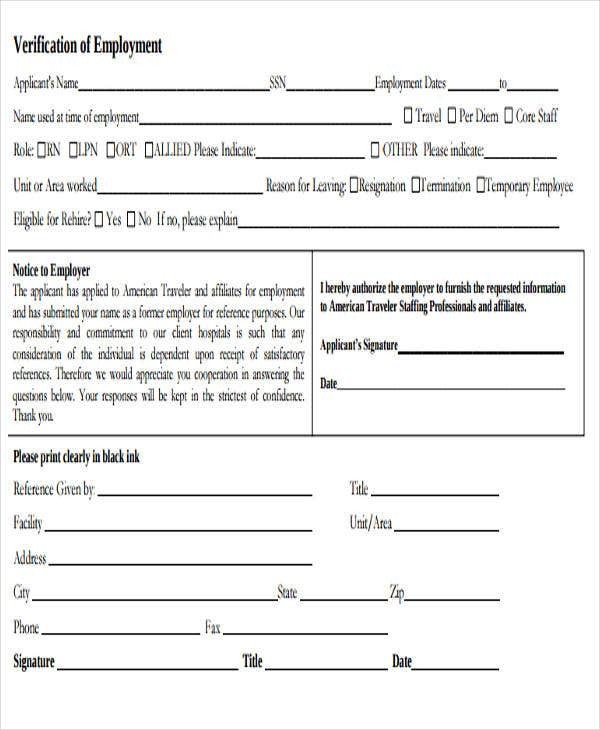 Other than our nursing reference letters, you may also download our Reference Letter Template samples usable as guides in creating reference letters used in different job applications at various fields of expertise.